We, women, face many more challenges as entrepreneurs, compared to our male counterparts. For me personally, right from having to convince my family that I wanted to pursue the not-so-stereotypical path of entrepreneurship to having to sort out the funding myself, the challenges were innumerable. Yet what sets us apart is our ability to stand up to all odds, never give up and emerge victoriously. For this article, we reached out to 21 trailblazer women entrepreneurs to know about their entrepreneurial challenges and how they overcame them. We’ll publish their stories in two parts. Our products and the underlying technology were always going to be ahead of its time. One challenge then was to increase the adoption rate of our products within the logistics movement stakeholders. Having the best solution is just one end of the total benefit. We delved deep into the usage patterns, by using essential elements of design thinking, to build a seamless and easy-to-understand interface for each feature. The technology was no longer distant for the users. They could feel the transformative effect of the same within their scheduling, routing, and tracking processes. We have come a long way to reach this state of composure and acceptance towards our technology. The way here was fuelled by perseverance, ambition and hard work. There is one challenge that’s common to every entrepreneur in the world… and that’s cracking the ‘FIRST customer’. It’s often a chicken-and-egg situation - where discerning clients are unwilling to try something if it hasn’t proven results before, and it’s difficult to prove results if clients are not willing to try it out! 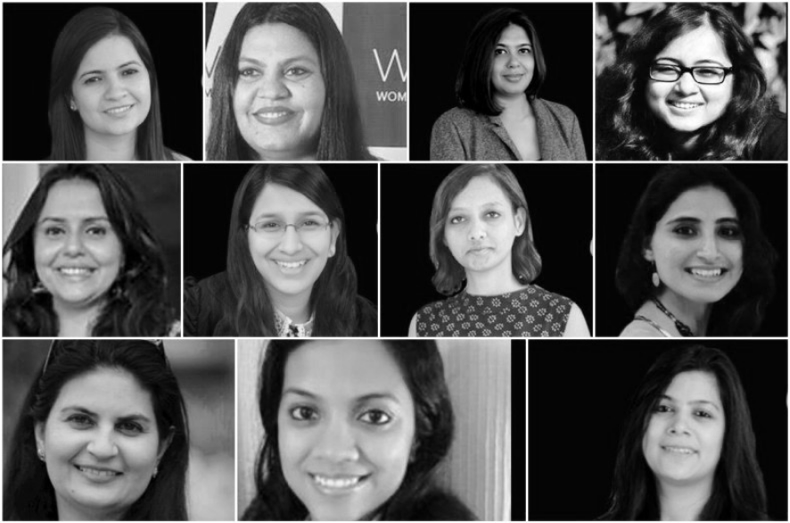 WOOP - Women of Opinion (our unique triple-win platform that helps brands get authentic word of mouth at scale) was facing the same challenge. However, we had tremendous confidence in the WOOP platform to deliver authentic reviews, referrals and peer recommendations for brands on board. So, we decided to give it all we had! We did 3 Free Pilots for brands we thought could benefit from earning more consumer trust - (A Youth-focused Lingerie brand, a premium Luxury Beauty brand and a Mother-&-Baby brand). The results were for all to see. More than 20% of users for the lingerie brand created and shared content like images and videos. We increased the number of online reviews for the beauty brand 5 times. And we generated over 2 conversations per mother for the Baby brand. The biggest thing you need as an entrepreneur is a rock-solid belief in the value you add to your customers. It’s all upwards from there. Truth be told, my efforts to be able to set foot into entrepreneurship have been longer than the journey in entrepreneurship itself. I hail from a traditional Indian family and while keeping a stronghold on having a career and a marriage of equals has always been a challenge, the real challenge came by when I wanted to leave my hometown to start my enterprise. In an effort to cushion me, my over-protective family insisted that I pass up a stellar opportunity. Where my male counterparts were patted on their back for their risk-taking abilities, mine were doubted and then worse - judged! My abilities were underestimated, with me having to prove regularly that I am as capable as the next man in innovation and risk assessment. Well, I was done proving. So, how did I solve this? I didn’t give up on being my own person, made sure not to lose power in family deliberations until the point that ‘I am capable and strong’ was driven home. At the end of the 8 long months, I successfully moved cities to run a parallel education institute - School of Accelerated Learning. As an e-commerce player, the biggest challenge for us was to create an impeccable supply chain system. We believed that speedy delivery of our products at cost-effective prices was the key to consumer satisfaction and driving brand loyalty. Initially, we tried tying up individually with some of the leading delivery partners but soon realized that individual tie-ups will make the entire shipping process manual and tedious. We found a platform which was integrated with most of the leading delivery companies and also offered a way for us to have an integrated CRM with these delivery partners. We immediately outsourced logistics to this company and then with each order shipping, we could choose the fastest delivery partner from multiple options. This approach led us to achieve the break-even point during the 1st month of the business operation itself. Although all entrepreneurs face a multitude of challenges without a discrimination of men or women, some behavioural differences make certain challenges more daunting for a woman. For me, it was financial independence. If you plan to quit your job and at the same time want to invest in your start-up, who do you think should bear these additional costs? The obvious answer is painful! Financial clarity would not only make you survive longer on your journey but will also give you confidence and ample independence. I come from a Bihari Brahmin family of educators and government officials. With the idea of setting up an initiative of my own, I gathered little support but not much criticism and stereotypical comments were passed by my relatives. I was 27 when I started my entrepreneurial journey, which is the peak marriage age for girls in my family. So everyone insisted I focus on that or start a business once I am married. But I love breaking barriers and challenging stereotypes with ease, humility and not intentionally hurting anyone in the process. I have overcome some with time, patience and a strong will to continue what I set out to achieve. The journey of my venture involves delving head-on into the male-dominated world of manufacturing, working with daily wager workforce, dealing with factory owners, vendors and suppliers. Working in an environment which rarely sees women, has been challenging at various levels. It always takes a while for the men I deal with to come to terms with the not-so-common situation of doing business with women. Also, the workforce who operate the actual production is not so accustomed to having their work overseen by a woman. While this challenge is at a cultural level, what I have struggled the most with is maintaining quality and consistency. To ensure that we manufacture a product of high quality, I would continually be on the assembly floor, monitoring the work under progress and motivating the workforce in person. Sometimes I would sit with the workforce over lunch and keep explaining to them the importance of high precision/quality and the importance of work being done in a timely manner! Challenges are an integral part of every startup journey and so is also true for us. For our start-up The Daftar, which is a co-working space, we have to deal with a lot of so-called non-female focus areas like real estate brokers, bureaucrats and vendors - in order to acquire the property, get the required licenses and develop it. One of the major challenges that I have faced is that people from such conventional areas don’t take you seriously and often ask for someone (preferably male) whom they can talk to. They simply ignore your presence or treat you like someone who doesn’t know and understand business and also tend to take this as an opportunity to take you for a ride. Such instances do demotivate you a bit but I think this is the time when you have to stand for yourself, look poised, ask right questions and talk in a manner that they understand that you know your business. The more you do it, the more you get that knack for handling such situations and people and make your presence equally felt, which is most important. A major challenge I faced when starting my entrepreneurial journey was fear: the fear of failure, of not being able to look after my family, my kids and work long hours, failing all my normal expected duties and facing humiliation and so on. However, I took a calculated risk but I stuck to a field I was totally comfortable in, as my son was my target consumer. I clearly understood the problem I wanted to solve as it was real and I faced it daily. Whilst I developed a solution based on trial and error, the success of this project was fundamentally due to the incredible and supportive team. The team was small enough for us to bounce back if we missed milestones but big enough to carry each other if we needed contingencies and backups. Surrounding yourself with the right people is key to the success of any project. Choose your team wisely, do not just select because they are your friends. Funding is always a challenge, however, there is plenty of help out there to support you. Just ask around and don’t give up! The biggest challenge we faced was to break the set notion of people towards daycare facilities - which they referred to as a place where kids are ‘kept’ and to build a sensitivity among all stakeholders towards the impact we are talking about. By the age of 5, a child's brain development happens up to 90%. The exposure a child receives in this brief period of time decides his/her overall growth. The parents, caregivers, day-care facilities hence, play a very crucial role in this nascent age span. Our founding team worked with Eklavya Education Foundation (estbd. 1997, Ranked 1 in Gujarat, Founder - Prof. Sunil Handa, IIM Ahmedabad) to shape Sandbox, where we have given a thorough thought on the smallest of details about childcare and development. Our early learning experts, child psychology experts, child health and nutrition experts train our team in making sure they take the best care of each child. The experts also take parenting sessions through which we share our knowledge with parents as well and keep them closely involved with Sandbox. The title ‘Woman Entrepreneur’ already adds a lot of weight due to the words defined in this title ‘woman’ and ‘entrepreneur’. As a woman entrepreneur, you are always looked upon as a secondary level of an entrepreneur to the society - non-aggressive, sensitive and support driven. Our patriarchal society has always believed that for a woman to be successful, they need to provide a framework for her to unleash her true potential and be successful. This belief makes them even more powerful. We have our struggles due to the traditional expectations that have been defined for a woman. Every day, I have to be a fighter to fight for my choice of being an entrepreneur and the fight is not to prove that I can be a better entrepreneur. The fight is to prove that I am a woman, I am not the second entrepreneur. This is a two-part series, written by Priyanka Desai who leads iScribblers, a content marketing, public relations and infographic creation firm. She is a regular contributor at Tech in Asia and Forbes. She leads a 6-member all-women team of go-getters. You can contact her via LinkedIn, Twitter and Facebook. Priyanka Desai leads iScribblers, a content marketing, public relations and infographic creation firm. She is a regular contributor at Tech in Asia and Forbes. She leads a 6-member all-women team of go-getters.